In today’s rapidly evolving data-driven business world, organisations continue to recognise the strength and value of maintaining an active and robust presence on digital and social media platforms. These platforms are providing additional points of contact with stakeholders and creating new avenues to strengthen relationships. With valuable and unprecedented access to data about products, competitors and consumer behaviour, businesses with an effective social media presence and strong engagement strategy are better poised for strategic advertising, marketing, sales and customer service. The question therefore remains- Are you there yet? For success in today’s digital world, you must have a plan to integrate your social and mobile marketing strategies into your business strategy. Whether your company has a sophisticated engagement strategy or you are a new start-up, the immersion exercise will help you to strengthen your top level strategy, structure your review and management of digital analytics, improve your business intelligence on social media and leverage evolving trends to grow provable market share and build stronger relationships with your high value markets. The objective of the programme is to provide participants with the practical knowledge and insights required to manage their individual and business presence on social media. It includes a practical project where students will create and evaluate a comprehensive social marketing strategy for an organisation of their choice. 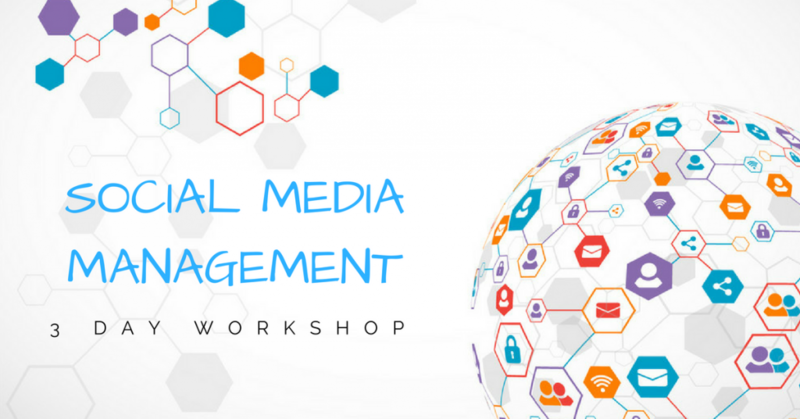 This project in the Social Media Marketing will put the methodologies, tools, and insights they have learned to the test as they create a multifaceted plan to assure effective social marketing is an integral part of their business strategy. To develop, manage, measure and adjust your traditional and social media marketing strategies, matching markets to strategies to position your brand in the global digital marketplace, maximize your business’ competitive advantage and profitably grow your business. Kevin Mc Clean currently serves as the Social Media Manager for various organisations where he has successfully applied techniques, strategies and metrics that brought growth, engagement and developed the organisation. Mr. Mc Clean has over seven years’ expertise in Social Media Management and he has experience in social communications integration for organisations in the Human Resources, Tertiary Education, Early Childhood / Primary Education and the Automotive Industries. As a Social Media Strategist, Mr. Mc Clean has led social media marketing programs, online engagement in social platform programmes and social marketing for B2B professional services companies. He has also attained a professional certification in Social Media Strategy from the Arthur Lok Jack Graduate School of Business. In addition to his full-time career, Mr. Mc Clean is actively involved in educating young professionals throughout Trinidad and Tobago and he is also the recipient of the Rotary International’s highest award, the Paul Harris Fellow. Certification is awarded upon successful completion.